Who doesn't like ice cream or pops during peak summer and if that can be done with just 2 ingredients and in 2 step then it's awesome isn't it? Well, then you are in right place this yogurt pops has only 2 ingredients and its super easy, we just have to wait for pops to freeze and that's the most difficult part. Summer and popsicle goes hand in hand and here it does same too in these hot days a cool popsicle give so much relief. Cabbage and peas stir fry is common side dish one can find in buffets or in any Indian food stall/restaurants mostly those serves office people here in Singapore. For the reason that it's quick, easy and taste good plus cheaper to have as a side dish it's popular among food joints. 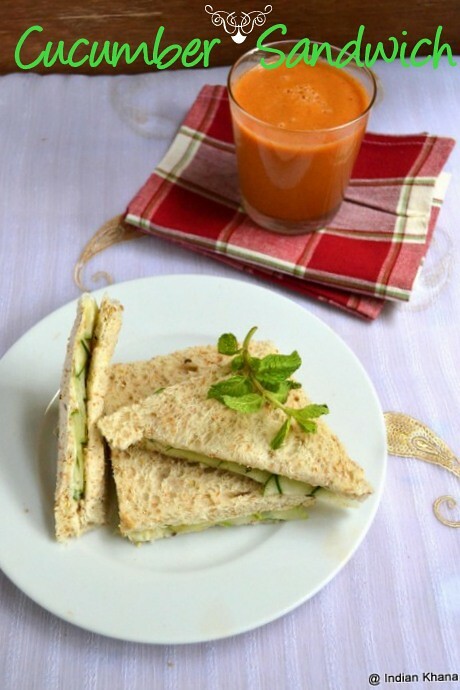 It's a very simple recipe and can be done in jiffy, perfect for weekday lunch box. 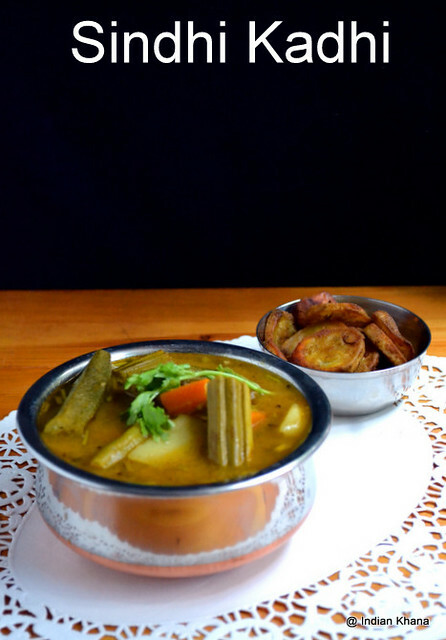 It's goes well with paratha or dal rice, sambar-rasam rice combo. For me I like the bright color combination this dish brings and it's light so makes it perfect with my dal fry, these pictures are not doing justices to the recipe so try it to get the actual idea about this dish. I normally make Prawn Masala and once in a while I try other prawn recipes too, this time again I was making prawn masala and I had cooked lobia with me which I pressure cooker for another recipe, suddenly got the idea of adding lobia with prawn and so I made this & it was delicious both with plain rice and paratha. I didn't click step wise picture since I had no idea of clicking but the end result was so good that I couldn't resist but to take some pictures to share with you guys. 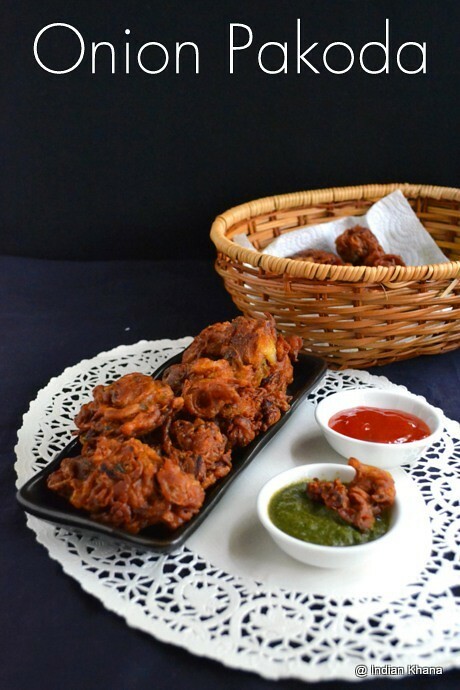 Onion pakoda is one of the pakora that I make most often simply cause I make onion pakoda very good and generally everyone prefer my onion pakoda than any other pakoda or bajji. If I have guests at home then mostly for evening tea I will make this as this is my no-fail and crowd pleaser recipe. I wonder now why I took years to post this recipe! Hara moong dal tadka or hari dal fry is the recipe that gave me confidence and declared me as a good cook. If I recall anything that I cooked first properly that is this hara (moong) dal and I still remember the 1st time I made this dal it was just too good that cooking became my department. 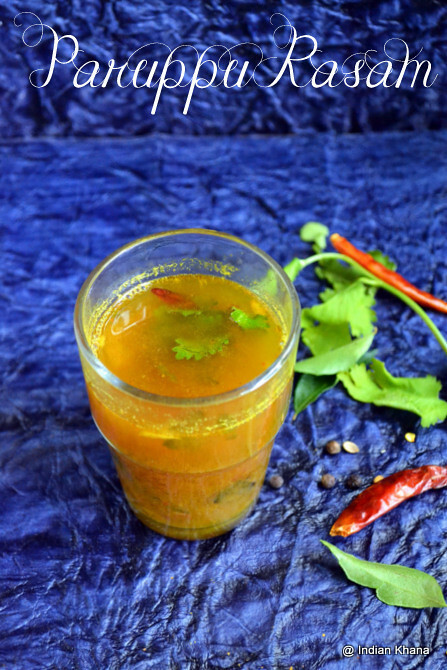 Rasam is something that I make very rare as I have to make only for myself but since I like rasam a lot I do try to make it once in a while to satisfy my craving. 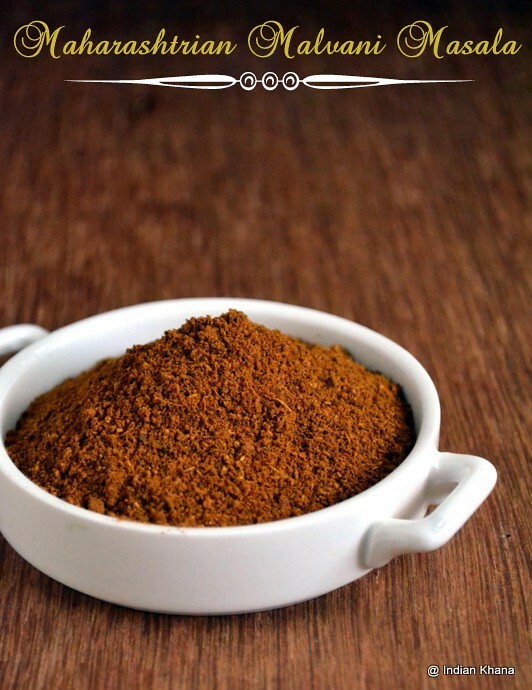 Like I mentioned in my sambar powder post, rasam powder too is not something that is used my parents place. I started using rasam powder couple of years back only after a friend passed me some rasam powder to try and from that time I never miss rasam powder any more. 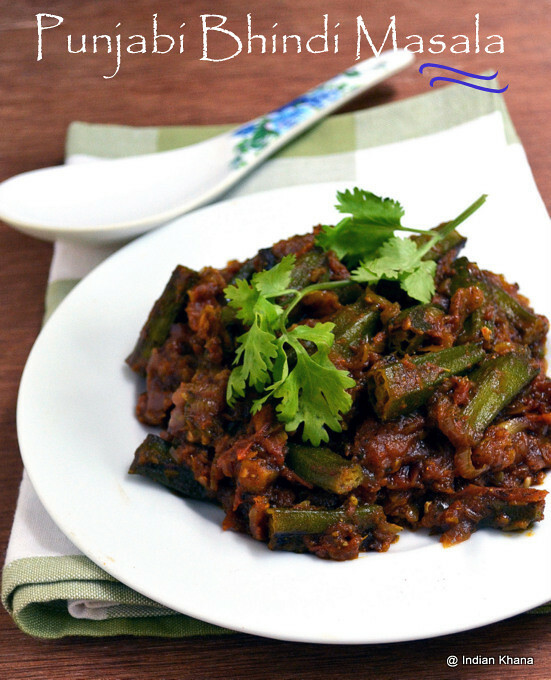 Bhindi Masala is one recipe that I do often other than aloo bhindi bhujiya and it's goes so well with roti/paratha or poori is big plus point. Recently I started doing it Punjabi way of this with addition of few more extra spices and the result is just better. This is a perfect lunch box recipe if you do parallel work then the preparation time will be less as I normally do. You can make this as side dish with dal/sambar or even rasam doesn't have to be only with paratha, I also eat this with plain steamed rice, it's just me. Don't miss the kasoori methi in any case, that's add that extra zing to this simple curry that once you try it you will love it. ABC Juice or Apple Banana Carrot Juice is one thing you can find in all fruit juice stalls in Singapore and it's one of the popular juice, some place sell ABC as Apple Beetroot & Carrot juice too. It's quite a filling juice and taste delicious, I mostly pick ABC or watermelon juice if I am not drinking tea. I mostly make this for breakfast along with sandwich for a delicious and satisfying meal. Now a days Singapore is just too hot it's getting unbearable and I am skipping tea and making juice or milkshake mostly, I guess it's happening with most of us facing this summer. Before moving to recipe Wishing Happy Tamil New Year and Vishu to those celebrating, have a great festive time. Lauki Raita is very regular in my parents house, my mom use to make this mostly for guest as it's different from usual onion, cucumber raita. Though I don't make much of these I rather use my lauki/bottle gourd in dal, sabzi etc but once in a while for change I make this too. 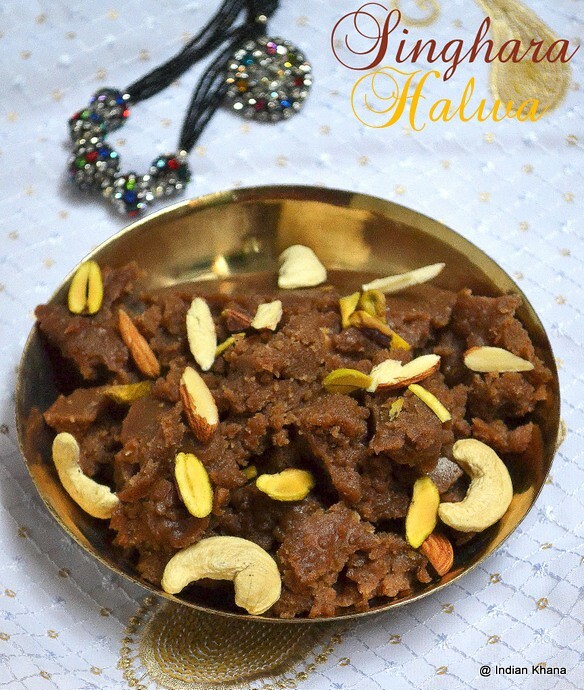 As mentioned in my previous post of Singhara Halwa it's time for Navratri again and today I am posting of the fasting recipe which makes the fasting menu different. Remember my Vrat Ke Papadi Chat? 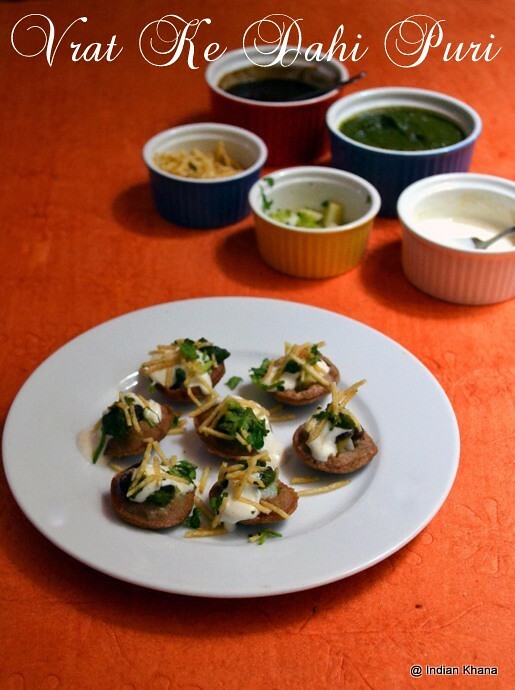 On the same line I did Vrat Ke Dahi Puri, used here is rajgira atta you can also try this with singhara or kuttu ka atta. It's time of Navratri again and it's called Vasanta Navratri in spring season (Mar-Apr) also known as Chaitra Navratri and this year Vasant Navratra is from 11th April to 19th April 2013. Though all people doesn't observe fast during chaitra navratri but some people do that. I prepared this Singhara Halwa during last year navratra but didn't manage to post and now I got a good opportunity to use these pictures. 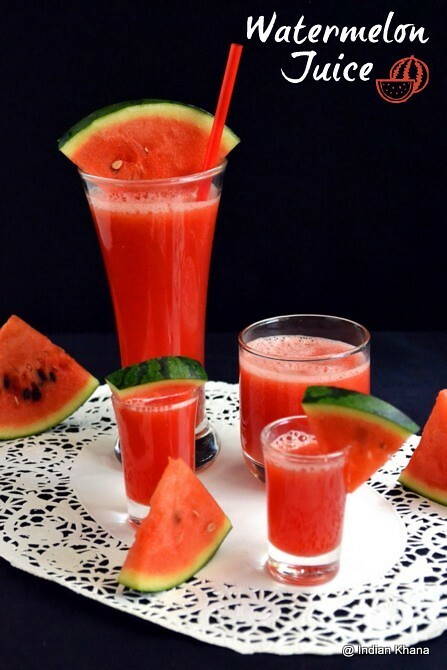 Refreshing Watermelon juice perfect for summer and now a days I am making this too often, the weather is getting worst and nothing better than some refreshing yet easy drink. If I make this for breakfast I pair it along a sandwich or serve this juice with dinner/lunch. There is actually no big recipe here most of us do know how to make a juice but I thought of blogging it anyways and the fact that the juice looks very pretty does helps too :) Summer is the time when we have friends, relatives visiting as it's holiday time for kids so next time make this juice instead of serving frizzy drink to the kids, they will love it and you will be happy too. 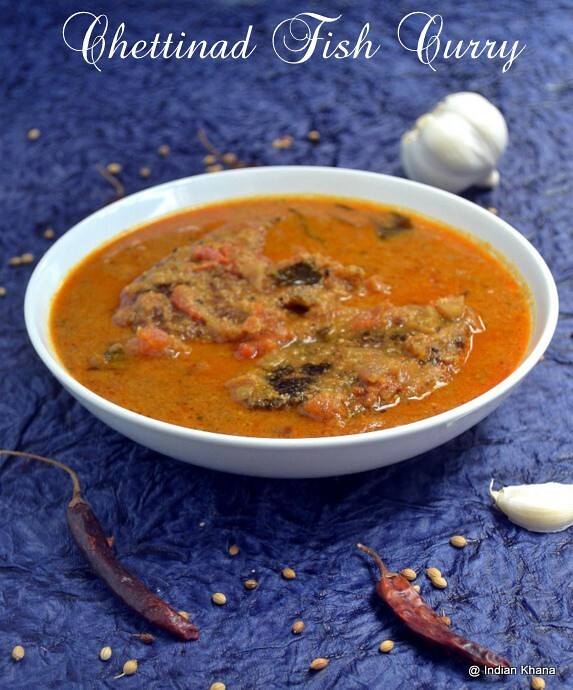 This is a spicy, flavorful authentic chettinad fish curry (meen kuzhambu) recipe. I have mentioned in my other chettinad recipes posts that I have became fan of this flavorful cuisine. You might find the ingredients list and procedure long but don't get afraid it's actually very straight forward recipe, just gather all the ingredients and this can be done with ease too and the end result is worth all the effect we take. In Sindhi cuisine one of famous dish is Sindhi Kadhi, at least I think so! I had first time sindhi kadhi in Kailash Parbat during my friend's birthday lunch meet (this was almost a year and half ago) and I didn't liked it cause they made it just plain bad. But since my friend was going ga-ga over her neighbor aunt famous sindhi kadhi and how good actually it suppose to be I thought of trying and I have also heard only good things about it. 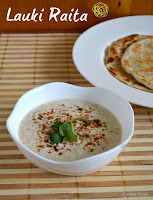 What makes Sindhi Kadhi unique is no curd(yogurt) is used which is a key ingredient in any kadhi and on the other hand vegetables are added which normally doesn't happens in kadhi so it's very different from any other popular kadhi. 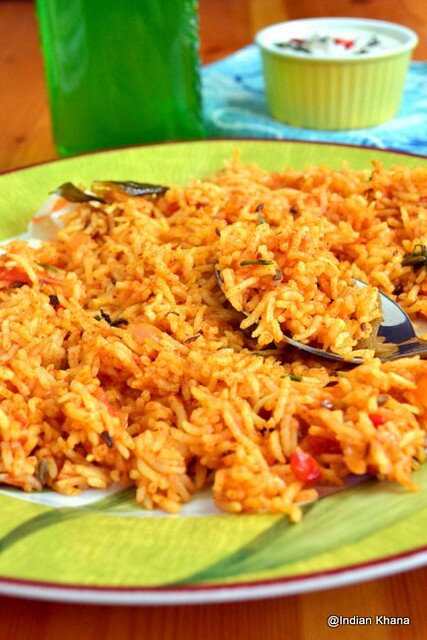 It's been long since I posted any rice recipe and this tomato rice is in my draft for very long time, I thought it's time to clear this long awaiting post too. 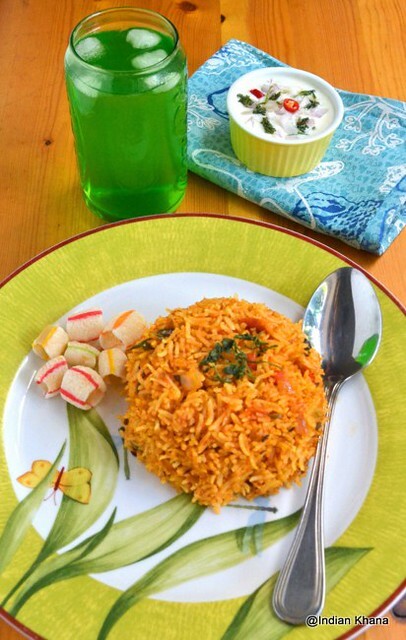 Tomato Rice used to be lunch box recipe for us during school days, though very rare but along with lemon rice my mom use to use few rice varieties. 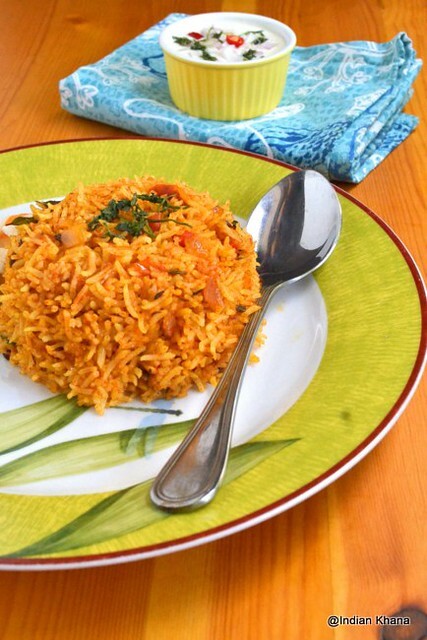 I always liked tomato rice and it's one of my favorite variety rice, it's perfect for lunch/tiffin box and also works great if you are looking for a quick fix lunch or dinner or even want to use left over rice. I make tomato rice less as DH is not fan of variety rice he likes more of Tomato Soup than having it in rice form! 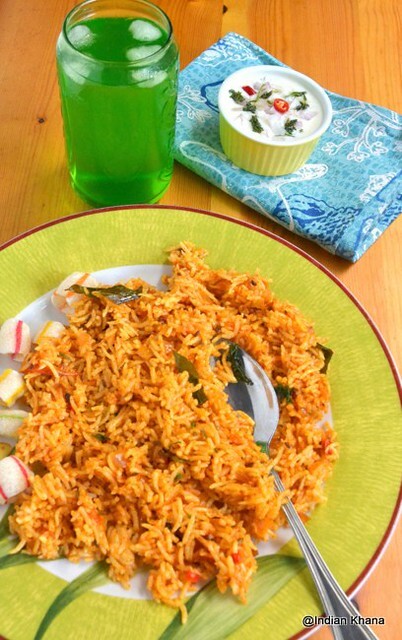 So if am cooking for myself which happens once in a blue moon then I do things which I like (read South Indian cooking) Try this tomato rice and I am sure you will like it too. 1. Wash and soak rice for 15-20 minutes and cook with 2 cups of water use 1:1 ratio for rice and water, cook and allow rice to cool. ~ or use little less water than 2 cups, the way its works best for you to have grains separated. 2. Finely chop onion, tomato, green chilli, cilantro. 3. In a pan or wok heat oil add cumin, fennel seeds and allow to splutter. Add garlic and saute until light golden brown. Now add curry leaves, green chilli, onion and saute until onion becomes soft. 4. Add tomato and mix well, cover and cook until tomato gets mashed. 5. Add red chilli powder, garam masla and mix well. 6. Add salt and cook for a minute or until oil separates. 6. Now add cooked rice and mix gently and cook for a minute. Garnish with cilantro. ~ You can also mix tomato gravy with rice and mix. Serve warm with raita, papad. ~ You can use any rice variety. ~ Use ghee instead of oil for rich taste and flavor. ~ I some times add carrot, peas, corn etc. ~ Adding garam masala powder is optional. 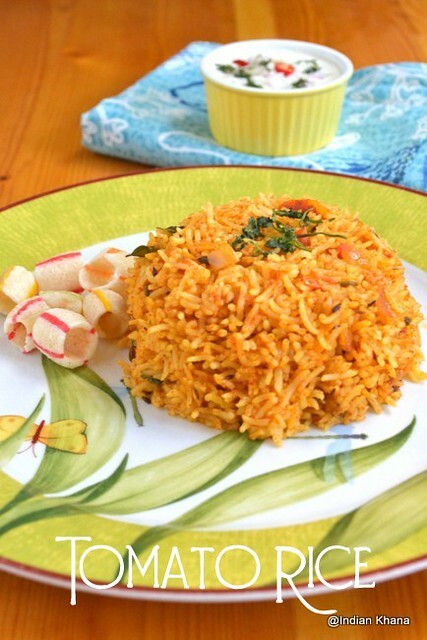 ~ My tomato rice is more of spicy version, you can use less of red chilli powder/green chilli if preferred. ~ You can use leftover rice too.